Over the past couple months, we have had the distinct pleasure of teaming up with a bunch of small, American businesses during our 10 Week, 10K Giveaway. I figured I would take a little time to go back and feature some of the companies we worked with and touch on why we, or I, like them so much. First off, one of our oldest collaborators is Jason Crespo (@paperstaxproject) founder of PaperStax Project (Facebook). PaperStax Project is as much about Jason’s heart as it is about his products. PS Project arose out of loss and now it helps build the minds of young people and provide much needed introspection and escape through journaling and writing in general. 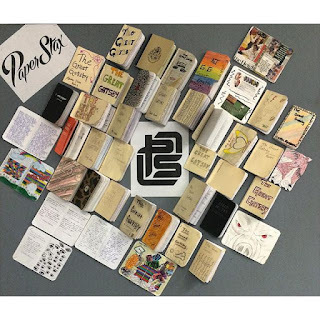 But don’t take it from me, read their mission statement: “The Paperstax Project is committed to inspiring self-actualization through journaling. We do this by designing and manufacturing pocket notebooks, then donating those notebooks to--and creating curriculum for--organizations working with young people to achieve measurable success--especially in the arts.” Jason and PaperStax epitomize the community-oriented nature of the people of the United States, the desire to improve no matter what and to make a lasting impact on those around them. We feel like that’s a pretty good reason to do just about anything and have had a wonderful working relationship with PaperStax Project often featuring them in our giveaways and sending people interested in reliable pocket sized notebooks in their direction. If you haven’t checked them out you really should change that. 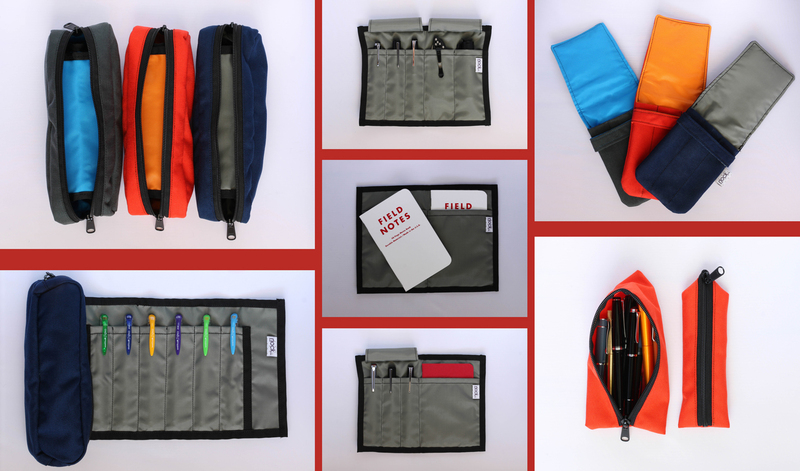 What do you need to have in order to carry around a Karas Kustoms pen and a PaperStax notebook? A pretty rugged and reliable case, enter Nock Co (@nockco). From the minds of Jeffrey Bruckwicki, Master Seamster, and Brad Dowdy, the intrawebs most powerful and prolific pen blogger, came the idea to create bags, pouches and cases specifically for the pen loving outdoorsman. What has since emerged are several wonderfully designed and manufactured items that are perfectly suited for everyday carry as well as rugged outdoor travel. Strangely enough they are all named after geographical locations in Georgia. Probably because both Dowdy and Bruckwicki are Georgia boys. We have supplied Nock Co. with custom combinations of our Render K (the Red, White and Blue) and look forward to future collaborations with them. And to be honest half my pens are sitting tucked away in one of their cases and I couldn’t be happier about that. We recently started a bit of a collaboration that has less to do with our pens and more to do with our facial hair. You see over half the guys that work at Karas Kustoms have beards, and we kind of take our facial hair seriously. Low and behold we had a men’s facial hair blogger reach out to us at one point in time, Brian Furby from Title Beard (@titlebeard). He wanted to review a few pens, we thought about it and after some deliberation and back and forth, we worked out a swap. He sent us some products from CanYouHandlebar (@canyouhandlebar), as he works as a representative for the company. What we got were some killer facial hair products like beard balm, mustache wax and beard oil. CanYouHandlbar is the brainchild of Doug Geiger. He has some very pointed views on facial hair, views we feel are pretty dead on the mark. But he puts a lot of time and effort into his product and it shows. I have had compliments from numerous people, including my barber, on the quality of the Doug’s products. 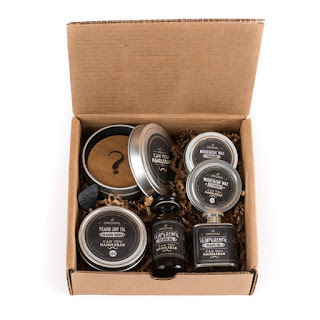 So we feel that if you are going to grow some man hair, you should adequately groom that facial hair and that means using CanYouHandlebar products. These are just three of the numerous businesses we worked with in the past two months. More than anything what these companies have in common is their desire to be makers and innovators of American made products and ideas. We feel that it is important to have that goal, and more importantly to work with people that have a similar vision when at all possible. We would hope you would support our friends in their endeavors just as much as you support our endeavors. If you need a good pen case, notebook or facial hair product, please consider our friends as your first choice when doing your shopping. Drop them a line, and let them know that you heard about them from us. Together we can start to make American small businesses relevant again.